The government of India is developing the Dholera Special Investment Region (DSIR) as part of Delhi Mumbai Industrial Corridor. 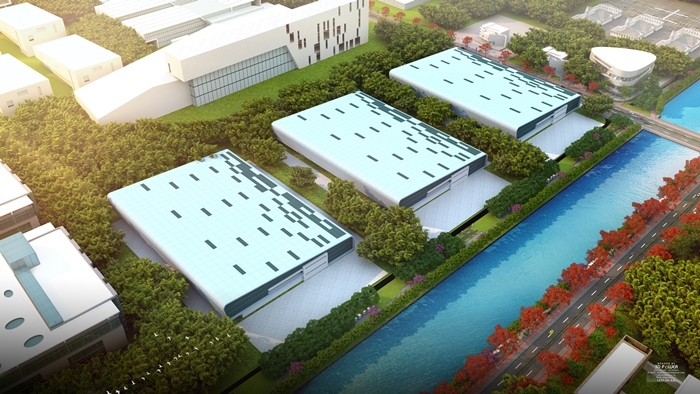 This initiative is being undertaken to create a major greenfield industrial hub in the Gujarat region. The total area is 920-square-kilometers and will be developed over a period of 30 years. The government selected AECOM as the program manager responsible for implementing the entire trunk infrastructure including roads, rail, drainage, water supply, water treatment, sewerage, power and energy, gas and all communication lines using Bentley applications. The government’s vision of the project is to create a strong economic base with a globally competitive environment and state-of-the-art infrastructure that will kick-start local commerce, enhance foreign investments, and create an area for sustainable future development. Project goals for the Dholera SIR aim to double the employment potential, triple industrial output, and quadruple exports from the region in the next five years, while meeting project deadlines and staying within budget. For this USD 641 million project, AECOM has utilized multiple Bentley applications as it progresses through the planning, design, and construction phases. AECOM deployed ProjectWise as the connected data environment to manage the engineering design data for all project participants. ProjectWise ensures their information is accessible and, through defined workflows and rules, managed through the various phases to enable AECOM to meet project deadlines. ProjectWise acts as the hub for multi-discipline design deliverables, while adhering to the appropriate standards and regulations. The use of Bentley applications will enable Dholera to meet green development standards, such as the LEED gold trademark of excellence. Using 3D digital engineering models to ensure maximum value across the lifecycle of the project is at the forefront of AECOM’s long-term vision. For example, Navigator helps the project team detect and resolve clashes and creates mobility in the workforce. Bentley Map ensures the accuracy of geospatial information prevalent in their engineering workflows, and the Bentley’s Haestad applications delivered hydraulic modeling for the distribution network. AECOM used OpenRoads for designing and managing road infrastructure, ensuring that roads, cycle paths and multi-purpose corridors were proposed efficiently.